Lite weight – only 29kb. 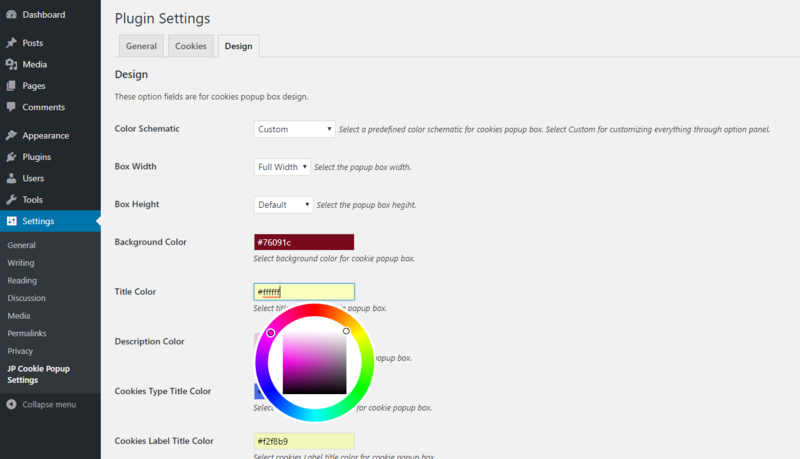 This wordpress plugin is almost fully customizable. 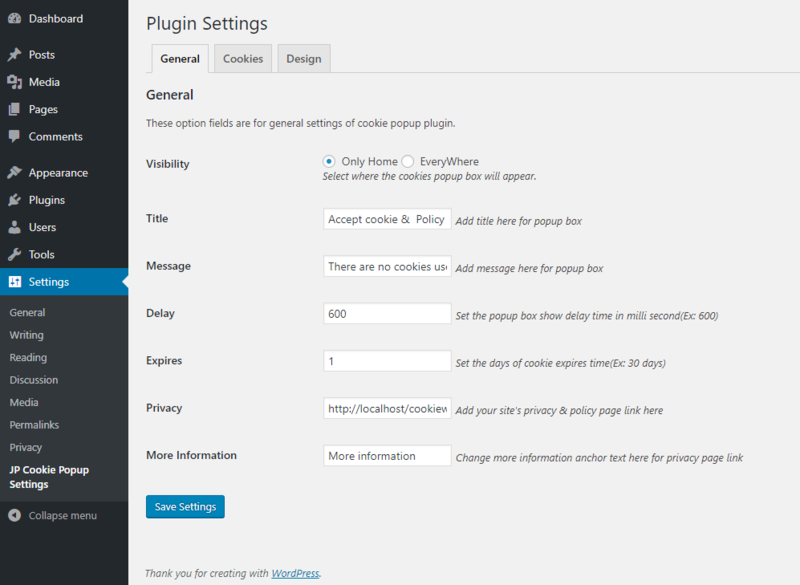 You change everything from settings panel. 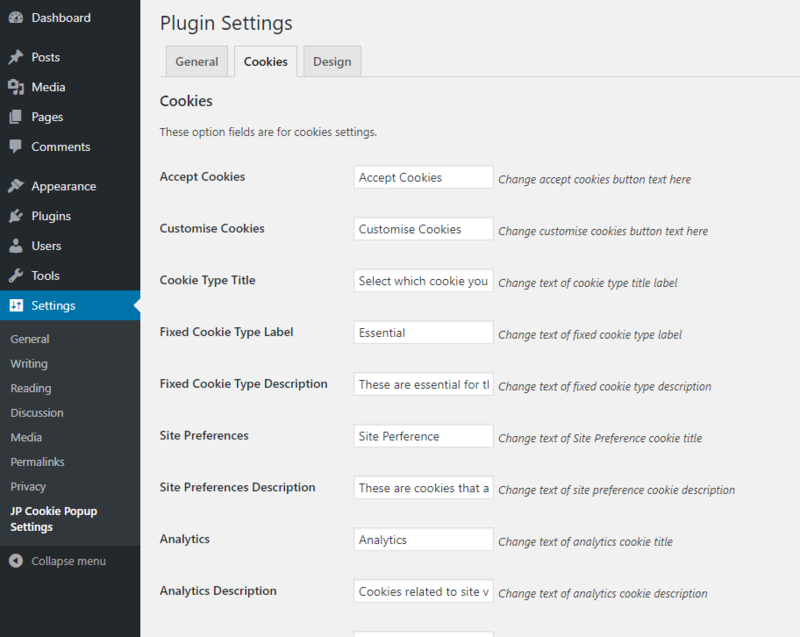 Can change cookie expires day,color,text,height,width etc. Please see live demo or screenshots for better understanding.